Decompress the application script archive on your machine. Upload this directory (all files and sub-directories it includes) to your document root (public_html, www, httpdocs, etc.) or to your website directory using FTP. Using your hosting Control Panel, phpMyAdmin or another tool, create new database and user, and assign that user to the database. Write down the database host, name of the database, username and password. Grant this user all required privileges on that database to perform installation procedure. 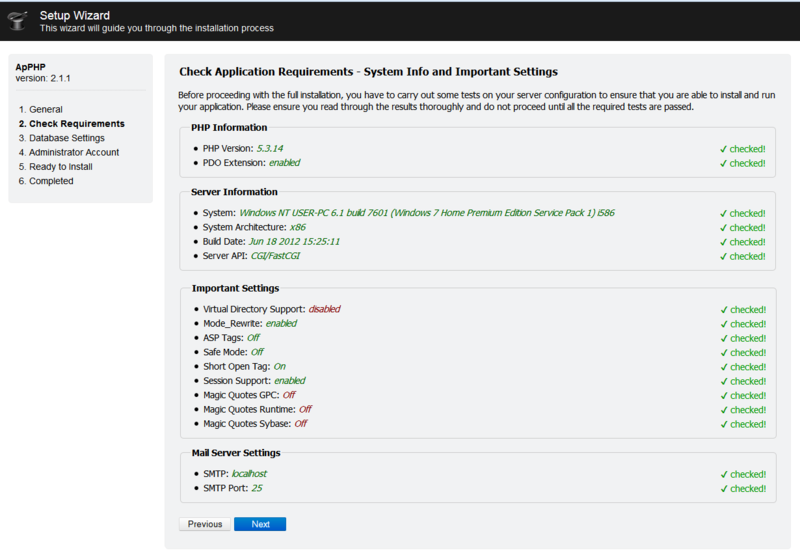 If the script still not installed you will see the setup wizard starting page. Follow the instructions on the screen. You will be asked to enter: database host, database name, username and password. Also you have to enter admin email, username and password, that will be used to access the administration area of the site. After successful installation you will see an appropriate message. In the case of errors, setup wizard will display them on the screen. While running setup wizard you could select whether to install a fresh copy of the script or just update it.